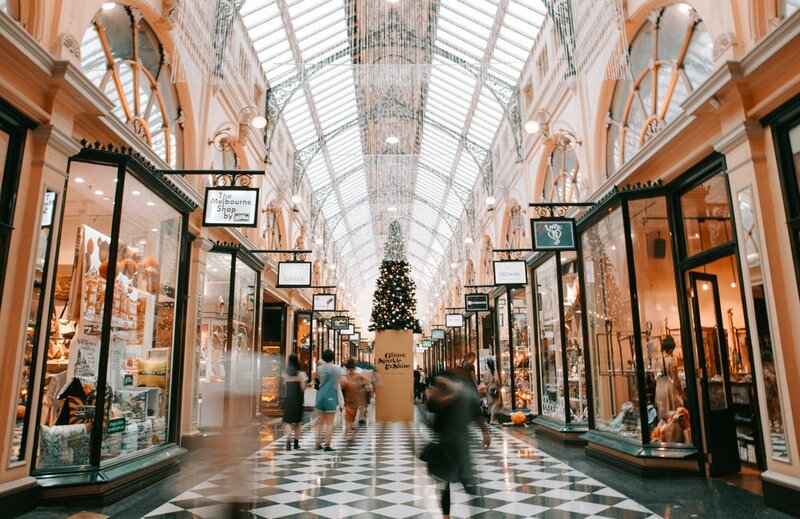 This article written by Emma Koehn originally appeared on SmartCompany hereas 'Global sports chain JD Sports is expanding its Australian reach in the face of tough retail numbers', featuring commentary from Good Things Marketing's CEO Helen Ahrens. A Baltimore business is asking customers to leave one-star online reviews of its offerings on Yelp and Facebook in a quest to draw attention to the way reviewing platforms unfairly alter the expectations of patrons before they even visit a venue. The former No Way José cafe is unveiling a re-brand this week, and will now be known as the One Star Country Club, reports the Baltimore Sun. As part of the process, general manager Don Messinese said the venue would ask customers to post a ‘one star’ review after visiting, no matter how much fun they’ve had at the club. The aim is to push back against “people getting opinions based on the online-review platforms, getting an unfair look into the business before they actually walk through the door and check it out themselves”. Business owners have spoken out this year about online reviews taking up time and energy, with a number of hospitality owners taking to platforms like TripAdvisor to call out reviewers for their own negative behaviour. Earlier this month a Queensland grocer took the step of posting CCTV footage of an interaction with a customer to rebut her one-star review of the business after she was asked to finish a phone call in order to complete a transaction. In September, a Utah ski resort put a one-star review front and centre when it used a customer’s claim a ski run was “too advanced” in an ad promoting its offerings. Messinese told the Baltimore Sun the One Star Country Club’s approach is aimed at highlighting the effects of online reviewing, where everyone is a critic and potential customers don’t always have the full context when reading about the experiences of others online. “It’s being a little playful with the one-star reviews and not taking every single one of them so seriously,” he said. Director of Good Things Marketing Helen Ahrens says this approach to mitigating the risks of online reviewing is novel, but warns other businesses that there are risks involved. “Here this business has a bit of a press campaign behind it so the company will be known for that,” she says. However, it’s unclear whether a deluge of one-star reviews could mess with a company’s listings, given customers rarely seek out venues with these ratings. SmartCompany was unable to contact the venue for comment prior to publication. Director of InsideOut PR Nicole Reaney says the One Star Country Club’s approach is an example of a business wanting to look at the lighter side of a problem many companies face. “It’s a light-hearted stunt to generate brand attention and consumer appeal. In its own right, there is validity in their intention – often a brand’s reputation can be skewed by a certain demographic who are likely to make the effort and leave a review,” she says. The impact of asking customers to write these kind of humour-filled testimonies will hopefully be increased engagement on social media, Reaney believes. The venue’s one-star policy comes at the same time the brand is relaunching to a new offering, and Ahrens says this presents a powerful opportunity for brand engagement, provided a business communicates with its existing customers. “You should have good strong relationships with customers, to take them on board and take them on the journey,” she recommends. While there is always a risk that a change in your business might generate negative online feedback from old clients, Ahrens says the most powerful thing a business can do is let their customer base in on the changes. “Sexist crap”: Target Australia slammed over kids toys promoting gender stereotypes - SmartCompany Article. This article written by Dominic Powell originally appeared on SmartCompany here, featuring commentary from Good Things Marketing's CEO Helen Ahrens. Article: The original Tamagotchi will return to Australia, but will nostalgia be enough to drive sales?